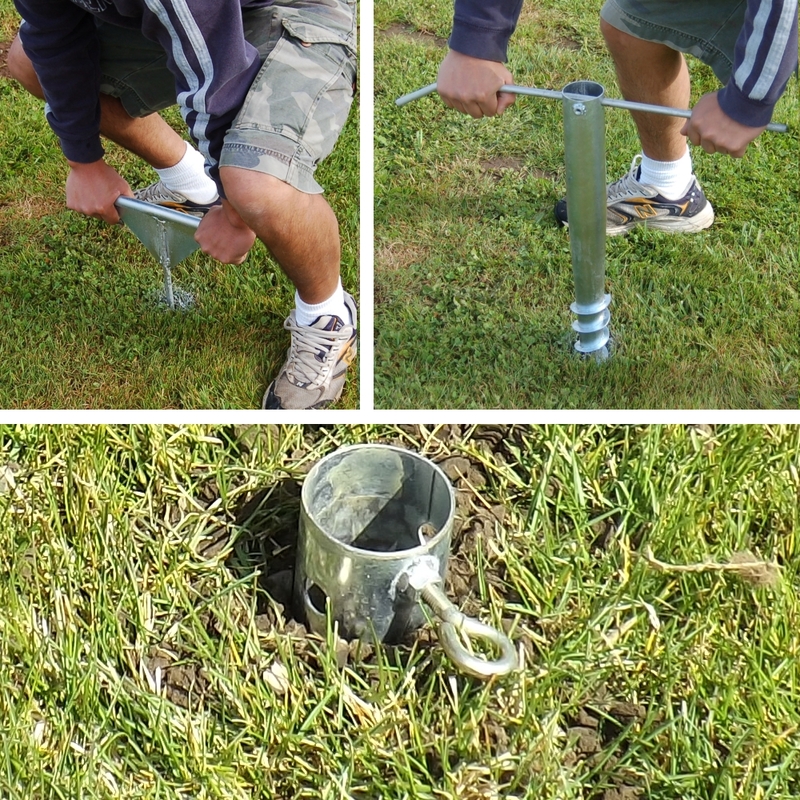 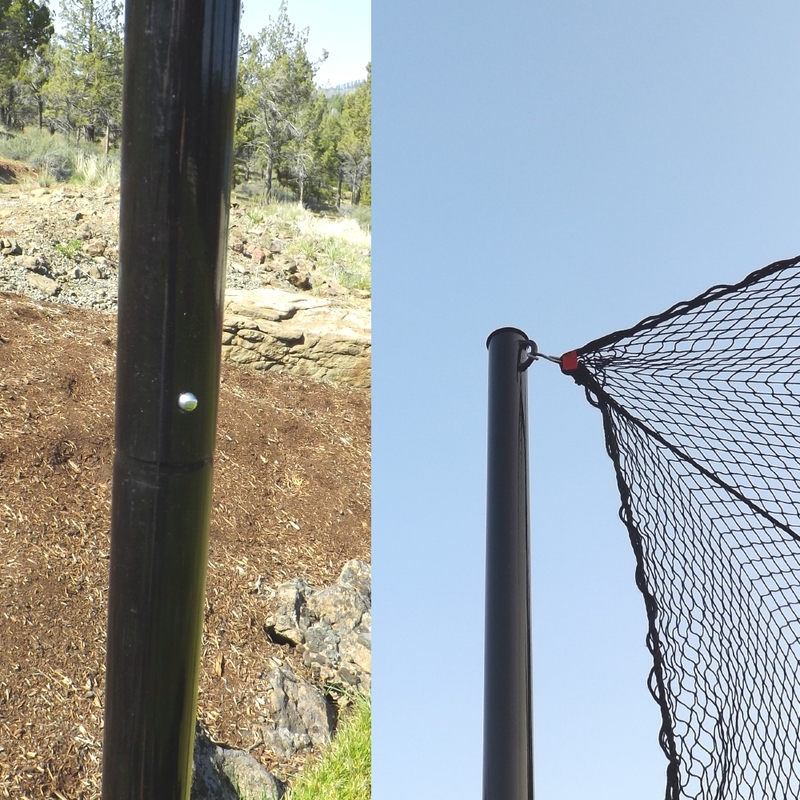 Below are the simple steps you need to take to install a Golf Cage Net using 2" Steel Netting Poles, this cage is 10' x 10' and we are using 10' tall poles, first step is to install the first ground anchor by pushing the included probe as far into the ground as possible, if you are able to push it all the way down it should be easy to screw the ground anchor in, if you can't push it all the way down it may be more challenging to screw it in and you might need to pull the anchor out a few times as you screw it in to remove some of the dirt. 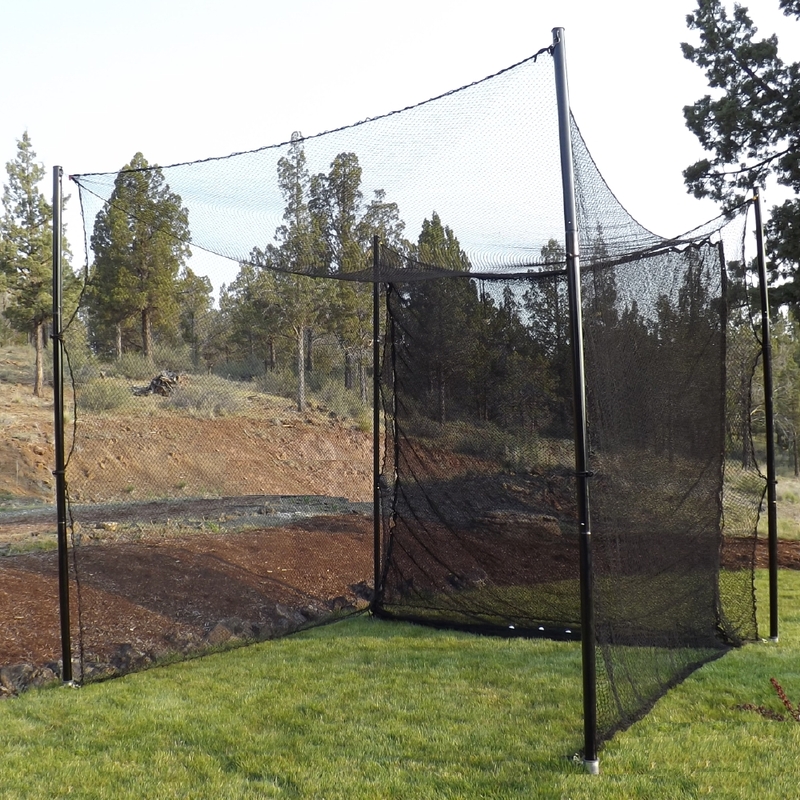 Once you get all four poles up attach the four bottom corners of the net to the bottom of the poles and attach a few ball bungees to the front poles and the cage is ready to use, cage can be taken down in a few seconds and stored away when not in use. 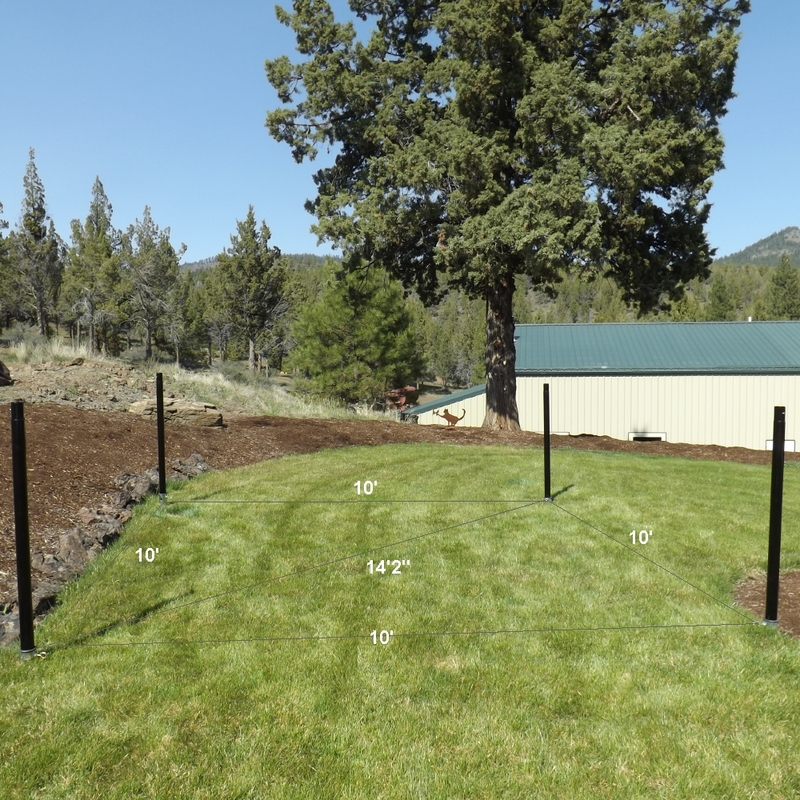 Copyright © 1997- Gourock Inc. All Rights Reserved.